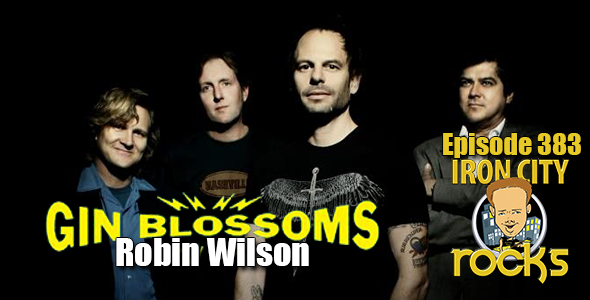 In Episode 383 of the Iron City Rocks Podcast we welcome Robin Wilson of the Gin Blossoms. The Gin Blossoms recently released Mix Reality and are on the road support the album. Robin talks with us about writing the album, the inspiration he drew from the late Doug Hopkins, the time between releases and reminisces about getting his own material on the band’s debut album, Dusted. 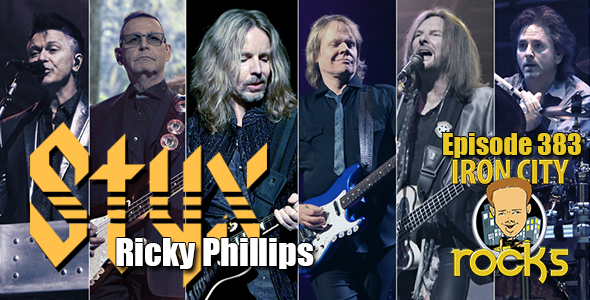 We are joined also but Styx bassist Ricky Phillips. Styx is currently on tour with Joan Jett and Tesla in the U.S. Ricky talks with us about the new re-release The Mission in 5.1 Surround Sound, the unique situation he stepped in working along side Chuck Panaozzo, the unique vocal demands of Styx and much, much more. Finally we are joined by Hardline, Axel Rudi Pell, and Crush 40 front-man Johnny Gioeli. Johnny talks to us about his new reunion with Hardline drummer Deen Castronovo for Gioeli-Castronovo’s debut Set the World on Fire.